Okey okey I don't really buy FHM (duh?!) 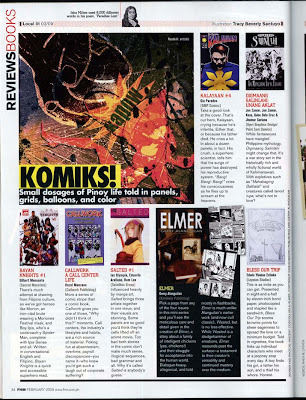 but Callwork: A Call Center Life and other indie comics are being featured in FHM for their February issue. I learned this last night in Gio Paredes blog, creator of kalayaan komiks. So I went downstairs to 7eleven to grab a copy. This book review is an unbiased review and never told us that they will be doing this article.